I’ve been reading a lot about death, lately. It started with a long-awaited visit to the site of the Beverly Hills Supper Club Fire. This site is less than 10 minutes from Northern Kentucky University, sandwiched between US 27, I-471, and a golf course. I wasn’t even familiar with it until my dad pointed it out on one of my first visits to NKU. I’ve explored a number of abandoned places and other interesting sites during my time in college, but for some reason, I had never made it up there. Until a couple months ago. There isn’t a whole lot to see. 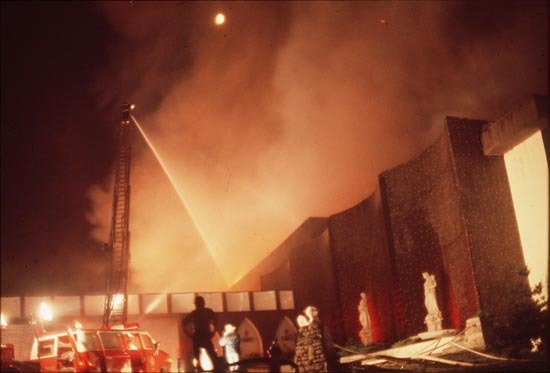 The building was demolished soon after the May 28, 1977 fire that killed 167 people (widely reported as 165, but two of those victims were pregnant). 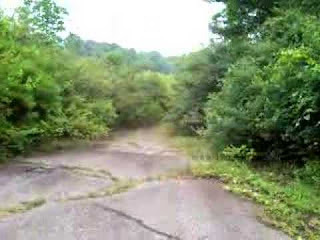 After climbing the hill, my fellow explorer and I walked up the rest of the drive, now much narrower due to the overgrown bushes on one side. In fact, overgrown is a good description of most of the site. The road curved around to what was the portico, one of the few things that didn’t collapse in the fire. We were able to pull up a floor plan, which allowed us to find where the Zebra Room was, which was where the fire started, and the Cabaret, where the vast majority of fatalities occurred. In the center, filling in the basement, were various bricks, pipes, a windowpane, and other such things. On our way back down, we climbed down the hill where bodies were laid as they were pulled from the building. This sparked my interest in other, similar disasters, especially those caused or exacerbated by human stupidity. I found a Wikipedia page that lists the worst disasters in U.S. history in terms of number of fatalities. The Beverly Hills Supper Club Fire may have been caused by faulty wiring, or may have been arson, but what made it bad was lack of employee training, overcrowding, furniture that was toxic when burned, locked exits, no sprinklers, and new additions not being up to fire code. This is a theme in many other disasters. 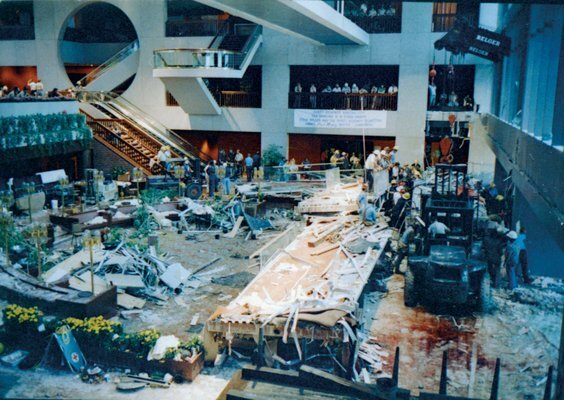 The Hyatt Regency Walkway Collapse, which killed 114, was due to an engineering flaw to save money. The Sultana shipwreck in the Mississippi River, which took about 1700 lives (mostly Union prisoners of war just after their release) occurred because the captain didn’t make proper repairs, which would have cost him the contract to ferry the Union POWs. The Johnstown Flood killed over 2200 people because a poorly-built dam catastrophically failed, causing a massive flash flood. Other disasters have been the fault of no one—an “Act of God”. The Rockport train wreck occurred because of gravel that had washed down onto a crossing. 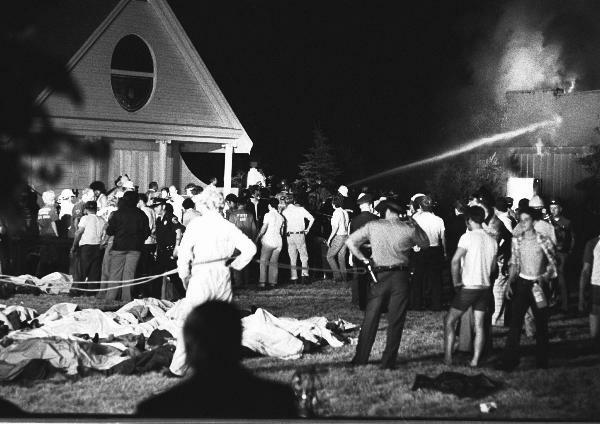 The Peshtigo Fire was caused by winds that blew controlled fires into firestorms. The Great Mississippi Flood of 1927 (like many floods) was caused by unusual amounts of rain. Still others are caused by terrorism. The 1998 U.S. embassy bombings in Kenya. The Bath School bombing. The September 11 attacks. Unfortunately, the Beverly Hills Supper Club Fire is pretty low on the list of disasters in terms of death toll. The deadliest ever is the Galveston Hurricane, which killed between 6,000 and 12,000. This is followed by the San Francisco Earthquake, the September 11 attacks, the Okeechobee Hurricane, and the Pearl Harbor attack. And this is only in the United States—there have been far worse disasters across the world. The 1931 China floods killed at least a million people. It probably seems a little warped to extensively read on this subject. Disasters are another one of those things of which I can’t fully explain my interest. Part of it stems from my interest in transportation, which surrounds many disasters (planes, ships, trains, buses, trolleys, bridges, roads, etc.). But there are several reasons—apart from my unknown interest—why I continue to read the details of these events. First, I want to gain a good understanding of what it is like for the people that are somehow involved in these disasters. For the victims, is there anything they could have done to put themselves at less risk, or were they completely helpless? For the first responders, what did they experience? I still remember videos we watched in high school health class of emergency personnel removing bodies from fatal car wrecks. These are real things with which people have to deal. When 50 people die in a train wreck, there are people tasked with removing and identifying the dead. Charred, crushed, dismembered, it doesn’t matter. It’s not a pleasant thought, but it is a reality. I don’t want to remain blissfully ignorant of what others have to do in disaster situations. Second, I want to know what I would do in a situation. If I am in a building with a quickly-spreading fire, would I push forward and get caught up in a crush, like what happened in the Iroquois Theatre Fire in Chicago, where over 600 people died? Or would I maintain order in exiting, as the people on Air Canada Flight 797 when it caught fire while emergency landing at CVG Airport, where half the 46 passengers and crew survived? Would I risk my life to help others get to safety? Would I be able to survive a certain type of disaster, or would I be powerless to live or die? Would I stop what I’m doing to try to help in rescue efforts, or in recovery of victims? Reading these accounts makes me answer these questions, and better prepares me for when I am in or near a disaster. What conditions can cause a flashover? What indicates a building might collapse? 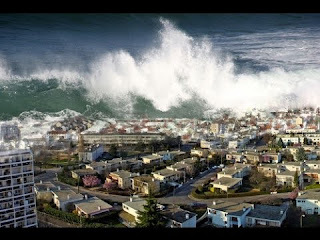 Where is the safest place to be during a tsunami? Knowing these things could potentially save my life or others’ lives in the future. Finally, and this is the key to this post, I want to have an understanding of death. I know a lot of people die gradually and get to say their goodbyes. But there are a lot of people that don’t get that luxury. All the people that died in these disasters didn’t. It is true that, thankfully, disasters of this magnitude are less frequent nowadays due to having learned the hard way what can be done to prevent or mitigate them. But they have not been eliminated. 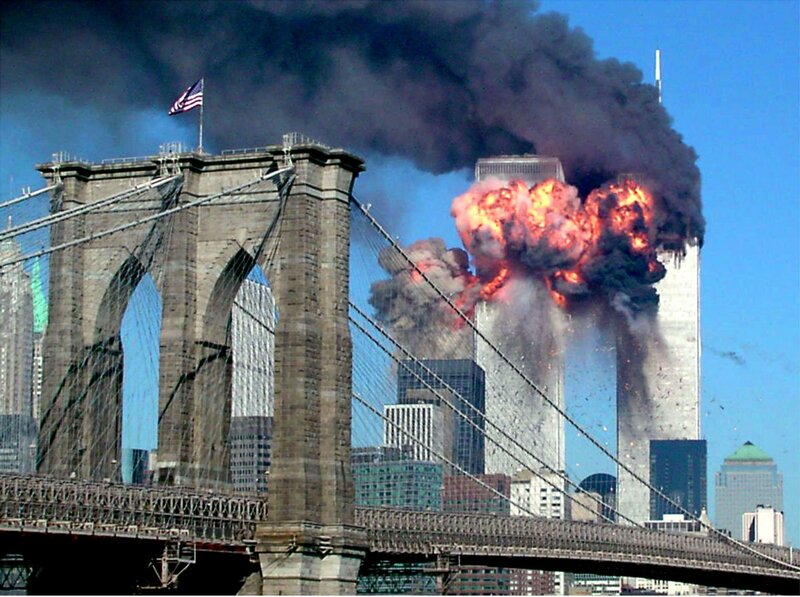 The September 11 attacks were just over 15 years ago. Hurricane Katrina killed over 1800 people in 2005, and Hurricane Rita took 180 lives. Three years later, Hurricane Ike killed 120 and a tornado outbreak killed 59. A tornado outbreak in 2011 killed 348. The Joplin tornado killed 158 that same year. The following year, Hurricane Sandy killed 72. The American Airlines Flight 587 crash killed 265 in 2001. The Station Nightclub fire killed 100 in 2003. Alaska Airlines Flight 261 crashed in 2000 and took 88 lives. Colgan Air Flight 3407 crashed in 2009, killing 50. Fifty people also died in last year’s Orlando nightclub terrorist attack. In 2006, Comair Flight 5191 crashed, and 49 people died. A mudflow killed 43 in Washington in 2014. Only last month, 36 people died in a warehouse fire in Oakland. And that is only in the United States. Sure, an earthquake of the magnitude that Haiti experienced would have had only a fraction of the deaths had it been in the U.S., but something like the Indian Ocean Tsunami would have equally caught people off guard, and plenty of individuals from the First World died there, part of the 280,000 total fatalities. But people don’t just die suddenly from major disasters. 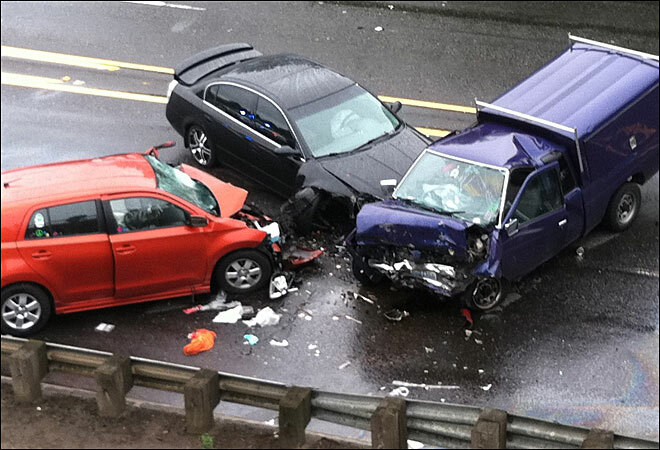 Car accidents kill people every day. Drownings. Falls. Heart attacks. Brain aneurisms. Murders. The list could go on. The important thing to realize, in light of this, is that tomorrow is not guaranteed. Do you think any of these people woke up that morning and thought they were going to die? Maybe some of the people in hurricanes. But tornadoes give little warning. Tsunamis often have no warning. No one reasonably expects that they will die in a fire, or in a plane crash. The odds are too low. But the odds are not zero. Most of the victims of car accidents or shootings had no idea that they were living their last day. There was no gradual death surrounded by loved ones for them. The best we can do is hope for such an opportunity. But not everyone gets it. One year, while my collegiate pro-life group was in Washington, D.C. for the March for Life, our bus driver died suddenly, in his bus, all alone. These thoughts can be depressing, but the uncertainty of life demands that we look at things realistically. Some of us will live long lives and die peacefully. Some of us will die suddenly, and possibly violently. Too many people take longevity for granted, when it is not guaranteed. This leads to the problem of the “deathbed confession”. There are people, and there are probably some reading this, that know that the Bible speaks the truth about our need for salvation, or at least know that it is something that needs to be investigated further. But salvation involves sacrificing the sin that is in our lives and following Christ. That’s not an easy thing, and that’s not always a fun thing. So, people think that they can live their life of sin and have fun, then at the end of their lives, they can make peace with God and go to Heaven. It’s a tempting plan. But there are two major flaws with the deathbed confession plan. First, salvation has to be genuine. It is a decision made to submit to God and live to bring Him glory. It is hard to believe that the deathbed confession plan is genuine, as the whole point is to live for yourself and then use God to give you what you have been denying for your entire life. It is a calculated plan to keep God away so you can have fun, then expect Him to let you into Heaven based on a prayer. It is not a real desire to follow Christ. Second, as explained before, there is no guarantee of knowing one is about to die. The victims of the September 11 attack had no deathbed. Shooting victims may die instantly. It is foolish to assume that you will be aware of your death. It’s simply not a guarantee. Why risk it? Why put off salvation? Are your years of fun really worth risking eternity in Hell? Don’t put it off. You are not guaranteed a deathbed. You can’t even guarantee tomorrow. That’s the reality of a fallen world. Don't make the fatal assumption of time that may not be there. Apparently, Everything is a Pro-Life Issue.